The first week of December was Computer Science Week. An excellent opportunity to recognize how programming and programmers have changed our lives. 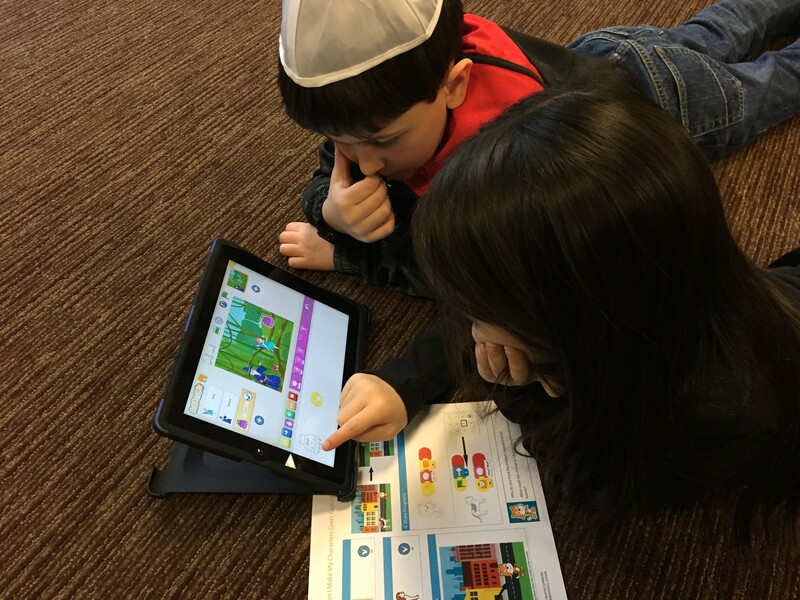 Part of CSW was Hour of Code, created to expose students to coding and computer science concepts. 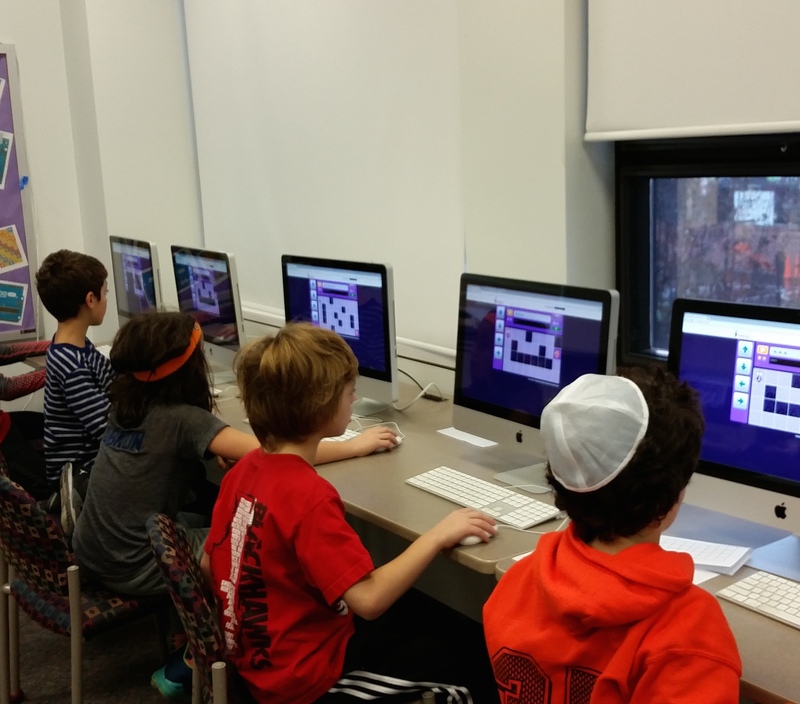 Last year a few classrooms in our building participated in Hour of Code. This year my co-worker and I worked to schedule Hour of Code sessions with every student in SK through 7th grade. It was a busy couple of weeks for us, but we were excited to plan out such a range of activities. Due to the number of actual classes and the various division-wide activities, we had to split it over two weeks. So, what did we do? Below are descriptions of what we did with each grade level, followed by a link to resources we shared with families. 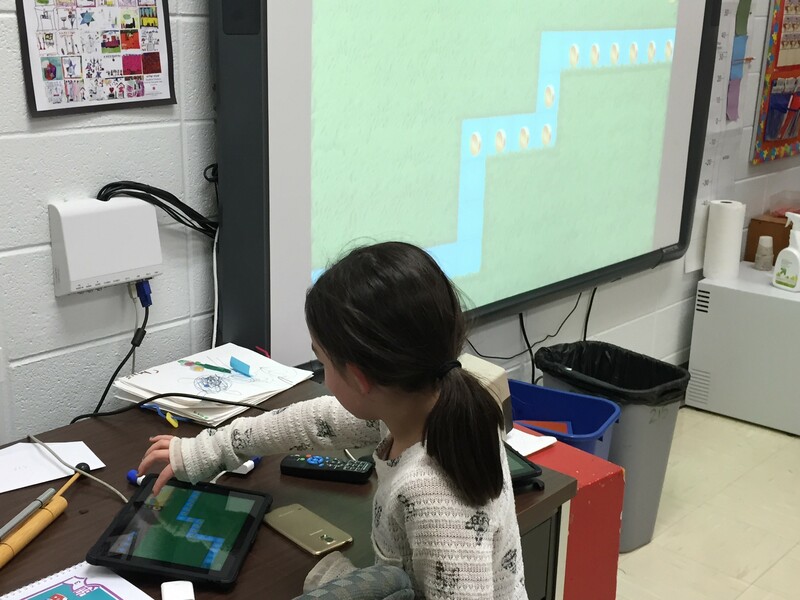 If you haven’t participated in Hour of Code these ideas are a great way to get started! 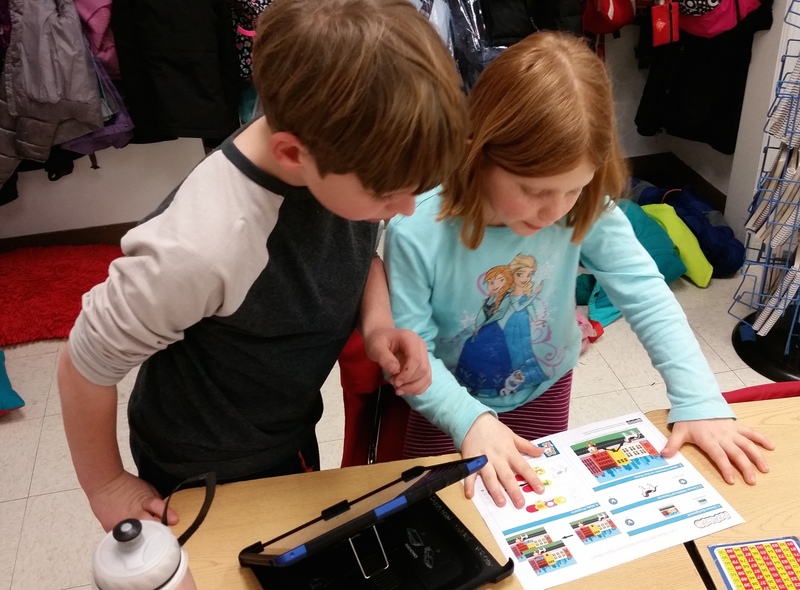 SK (Senior Kindergarten…think Kindergarten): SK students participated in two different activities that revolved around BeeBots. BeeBots are small, simple robots that young children can program. 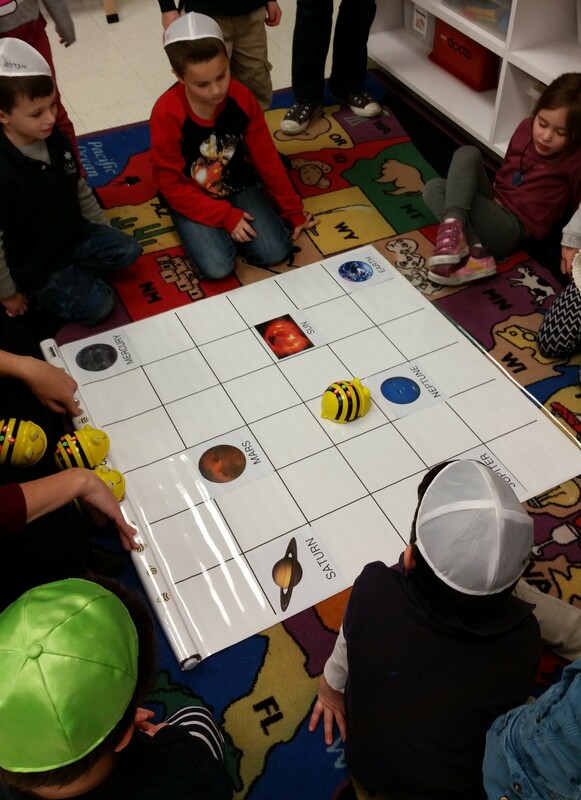 SK students learned about the BeeBots through the BeeBot app and followed that up with using the actual BeeBots to travel to the various planets SKers had learned about during their Solar System unit. 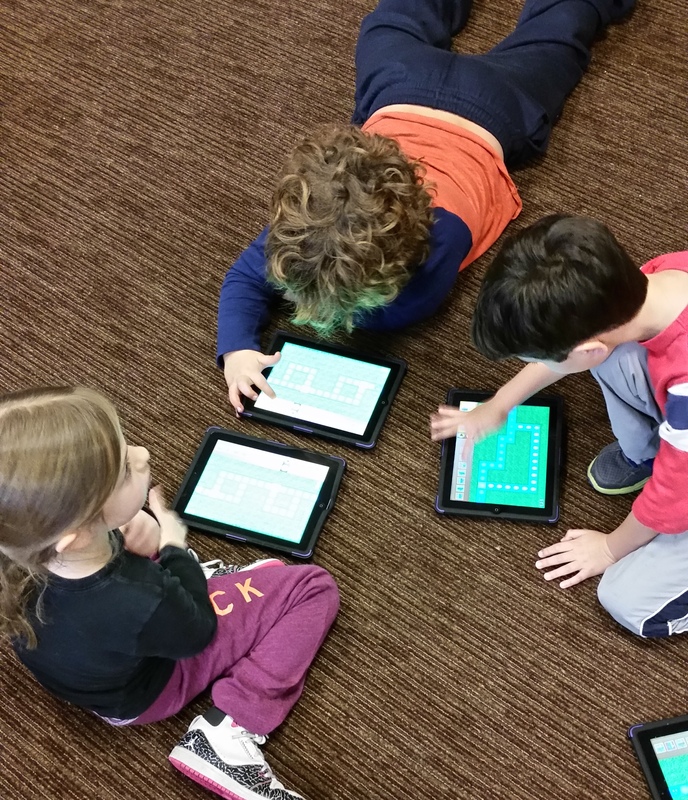 1st Grade: 1st grade students engaged in an hour of code by being PeopleBots. PeopleBots are a people representation of the BeeBots used in SK and perviously by 1st grade. As peopleBots the 1st graders proacticed giving and receiving directions to make their way around obstacles. 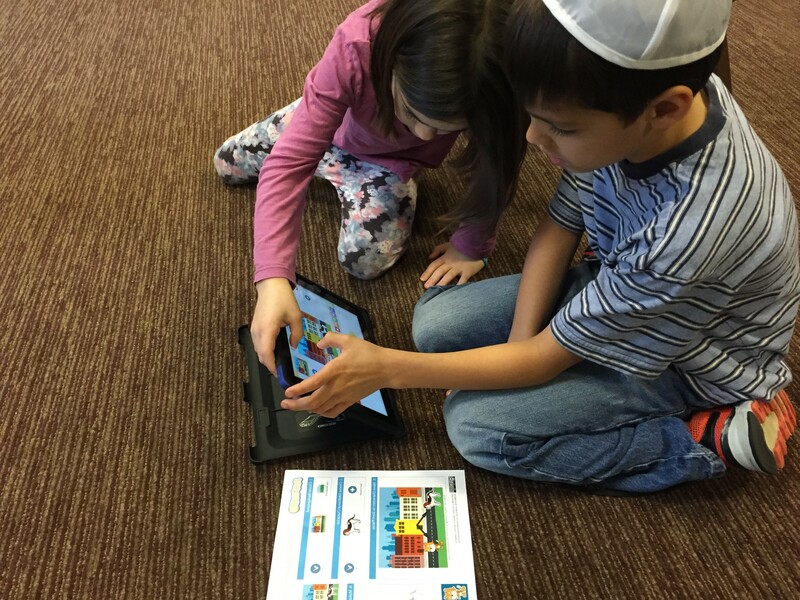 Following their PeopleBot activity, students learned about Kodable, an app and website that teaches elementary progamming. 2nd Grade: 2nd graders began with the PeopleBot activity to review how to give and receive directions. 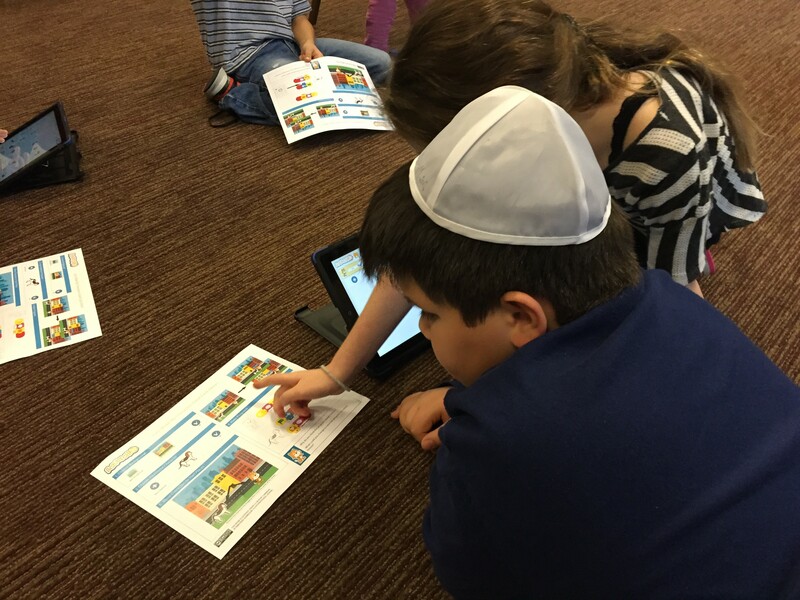 After that, the 2nd graders used Scratch Jr. to complete an introductory activity and create their own animated story. During each SK through 2nd grade classes I began with a staged situation in which I had missed lunch or ate lunch so long ago and needed help making a snack. I had soy nut butter, jelly, bread, a napkin, plate and knife. 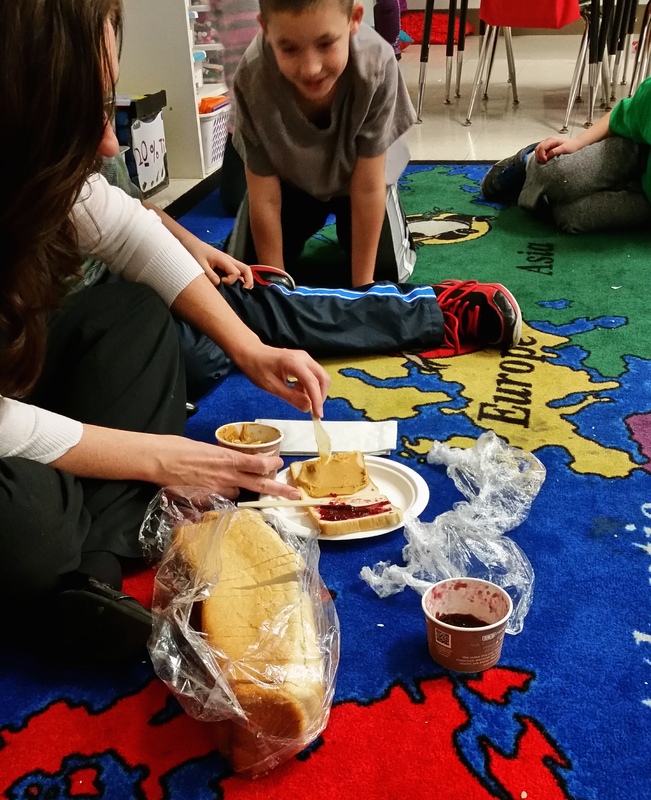 I asked each class to direct me in making a soy nut butter and jelly snadwich. Needless to say, by the end of the week the bread was stale and I had my fill of soy nut butter sandwiches. Kudos to all my kiddos, because most of them did a really good job of walking me through making my sandwich. 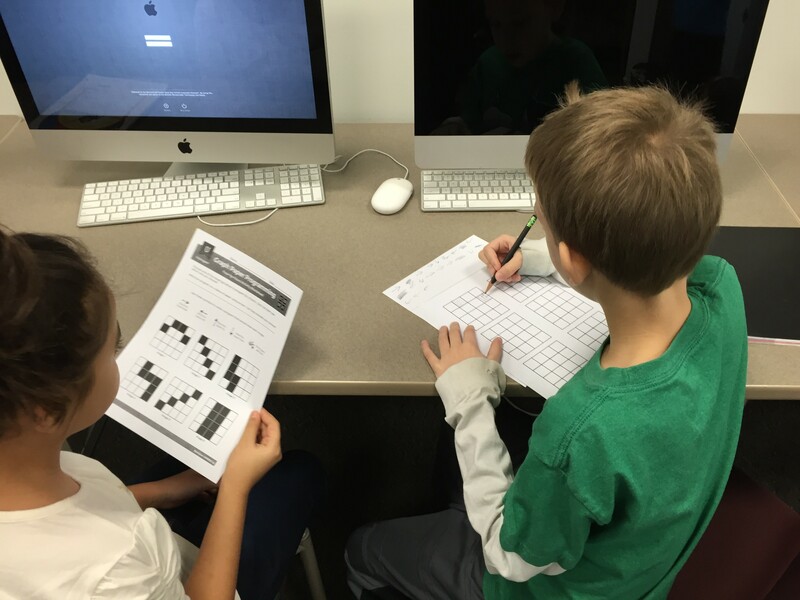 3rd Grade: 3rd graders completed an non-tech programming activity called Graph Paper Programming. 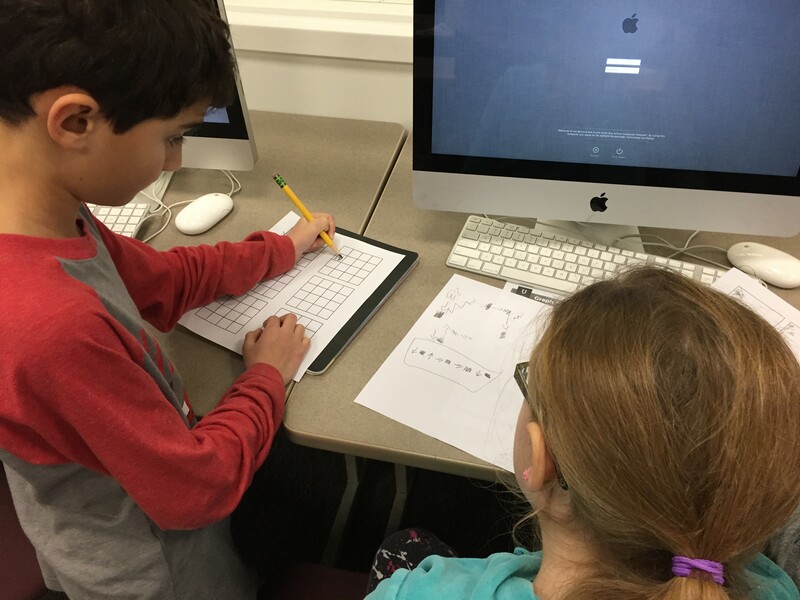 In this activity students paired off; one being the programmer and one being a “robot.” The programmer wrote a programm designed to guide the “robot” through coloring in squares on a graph. Once completed, the “robot” followed the program to recreate the drawing. Following the non-tech activity, 3rd graders worked their way through the BotLogic website. 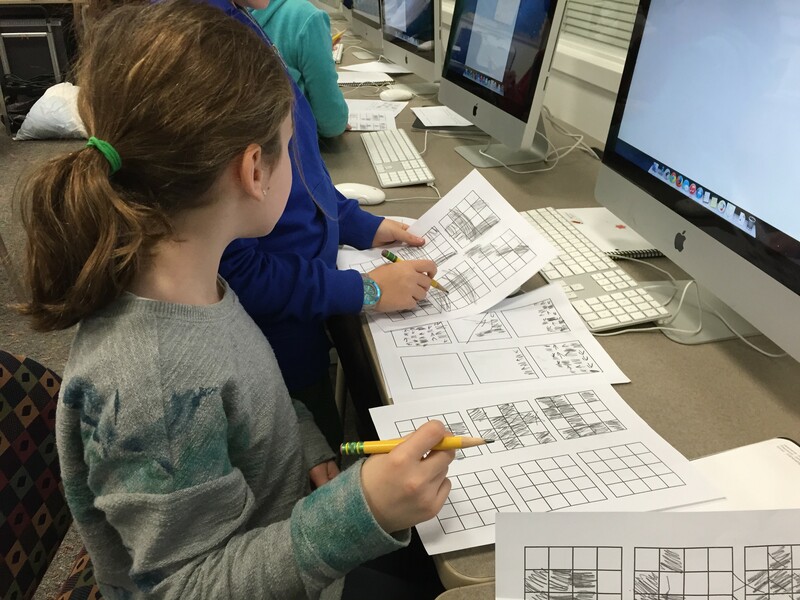 4th Grade: Like the 3rd graders, 4th graders started with Graph Paper Programming. 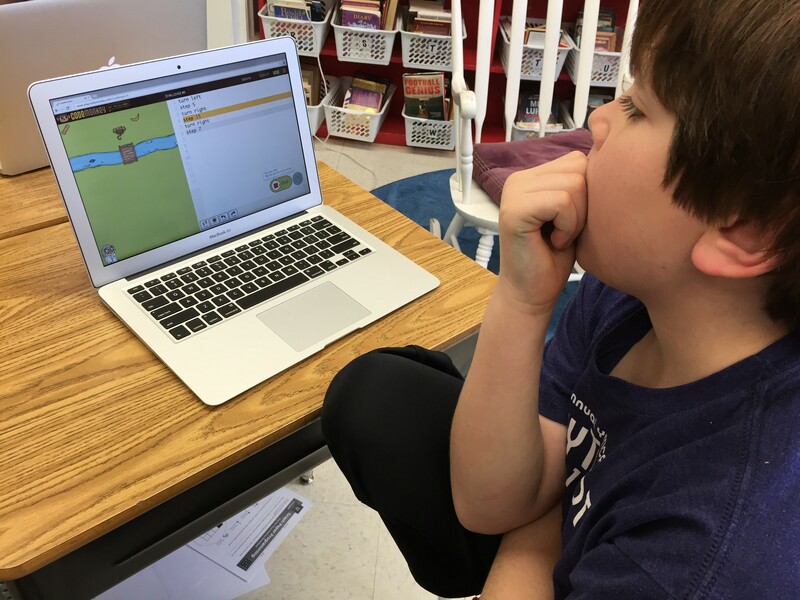 Following that, students were introduced to Code Monkey, a website that asks students to type lines of code to complete challenges. 5th through 7th Grade: In each class we had discussions about what coding/programming is and why someone would learn to program. Most revolved around the idea that the students wouldn’t be able to do much of what they do now without someone to create the program. Following our discussions, students were introduced to the site Code Combat, which teaches Python or Java Script through a game. Students must type the code to battle ogers or protect villagers. Code Combat was my favorite coding activity. Before I could engage my students I had to know what they would be doing. So, I had to spend time working through the challenges. It’s a tough job, but someone has to do it. Overall, our Hour of Code went really well, engaged students, and opened their eyes to the joy of programming. You can see some of the resources we share with families HERE.